The book group I facilitate at a senior center was humming with excitement at our recent meeting. 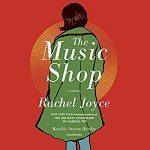 Our book was The Music Shop by Rachel Joyce, and all ten readers loved it. We’ve had plenty of lively meetings at which some members expound, politely of course, on why a book isn’t at all good and others on why it’s stunningly beautiful. The only dissension this time was over which character was the most interesting, which scene the most beautiful, or which description of music the most memorable. There were many to choose from. In every chapter Joyce names at least one composer, composition, singer, or songwriter. 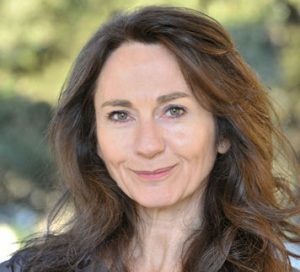 I counted about 80 total in the book, ranging from Pérotin’s Beata Viscera of the 13th century to Michael Jackson’s Bad of 1987, the year before most of the book’s action takes place. The Music Shop is a warm appreciation of music of all styles. Frank has a quirky coterie of devoted followers — customers, neighboring shopkeepers, and staff. They all appreciate his attention and his uncanny ability to find the music they need, which isn’t the same as what they request. He finds the song to ease a broken heart, a flagging spirit, or a strained marriage. It seems obvious to everyone but Frank that love is in the air. He, this man who locates curative music for everyone else, is unable to help himself. He’s too bruised and too scared. Ilse, too, suffered hurt and disappointments, which Joyce in time reveals to the readers. She slowly faces her demons, but Frank’s seem insurmountable. Music can bring joy or sorrow. It can lift you up, take you down, and lift you even further. Joyce does lift us further but only after some surprising intervals. They proved satisfying to everyone in my group, and I think you will be too.